Caption slip reads: "Photographer: Mitchell Date: 1957-03-22. Reporter: Lewis Assignment: New Hall of Records Bldg. 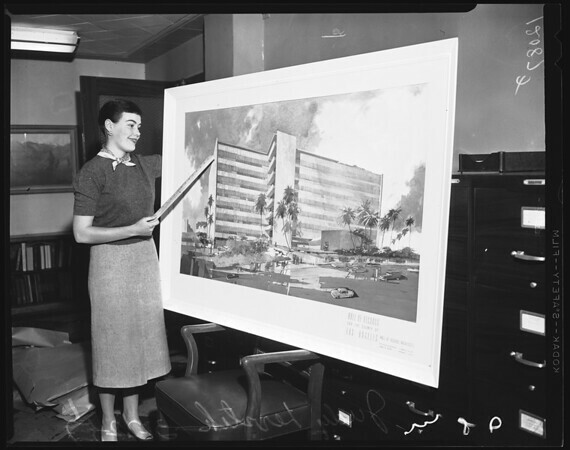 79/80: Judy Levstik with New Hall of Records Bldg. ".